Yes app ki kundali mai mangal dosha hai. Also app ki kundali kamjor hai shadi ke liya. Love marriage ke chances strong hai. She will be married in the second half of 2023 at the very earliest. The waiting will be worth it. She will get a very good husband. My name is ayush goyal DOB 7/4/1995 time 1:18 pm. My fiancé name ashita goyal DOB 20/10/1995 time 7:45 pm. We just need your help. Sir please let us know whether we can marry and if any of us mangalik then what is the way to marry and who many of our guns matched? Please give us guidance sir. 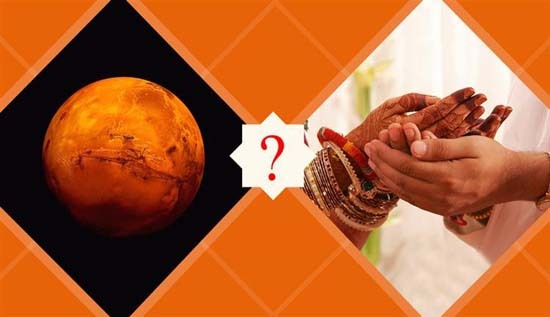 I will give you a scientific horoscope matching and will let you give the compatibility report and whether the marriage will be successful based on the article on my blog navagrahastro.blogspot.in for which you will have to come through Paid Consultation. To answer questions like you asked, we have to study your horoscope in great details and you will have to come through Paid consultation. Free answers are given only when we can have a cursory look and answer the question. 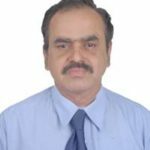 Read navagrahastro.blogspot.in to get details about the scope of astrology. My marriage happened on 23 Nov 2017 & within 60 days of marriage I am facing hell lots of issues. I did contacted to lot of astrologers who conveyed to me that divorce is sure in my husband chart. Can you please provide your inputs to save this marriage and uptil when I have to struggle to save this marriage. Your help will be a blessing Sir. Time: 10-11 pm (Exact dob is not available). Obviously your horoscopes were not matched and suitability assessed. Now you are crying over spilt milk. Is it not? Yes. Can you please guide me? Can this marriage be fixed via some puja or by any sort as my husband and his entire family is admant about divorce. Is there any remedy to reduce the bad thing of marriage? Guruji .. I am running through very bad phase.. Please help me. Please Guruji. Hi, am I double manglik? When will I get married and will it be a happy marriage? am I double manglik? When will I get married and will it be a happy marriage? Hello Sir, please reply. When will I get married and will it be a happy marriage? DOB 08.12.1989 Birth time 11.35 PM at Mumbai. when will i get married? Your period of Marriage is going on and strong in 2018. You are facing obstacle as you are mangalik. Look for a mangalik alliance and you could be married soon. Thank you sir. Can you please let me know if this match suitable to get married ? Myself (Girl) : DOB 08.12.1989 Birth time 11.35 PM at Mumbai. (Boy) : DOB 19.06.1990 Birth time 2.15 AM at Mumbai ?? Is there any pariharam for rajju Dosha… Please help me sir. You may get a child during 2019. but there are medical expenses involved. Can you please let me know if this match suitable to get married ? on the basis of guna milan 25 points are matching…rassi agreement is not there..as boys raasi is mesha and girls raasi is meena ..the match is passable. Kb hogi or kya aap iske alawa kis se hogi esa kuch bta sakte hai? marriage chances are strong in your horoscope after April 2019. Do remedies of Jupiter regularly.